It’s fun to celebrate holidays! 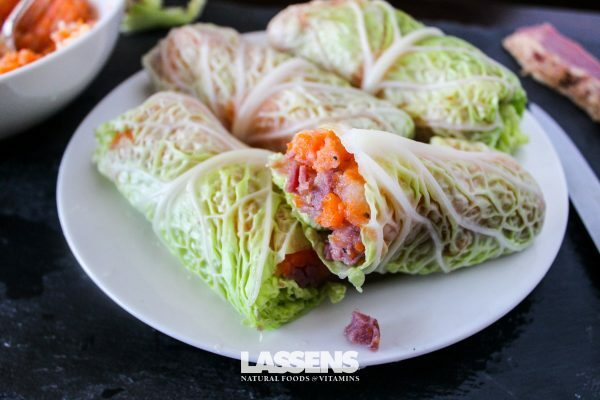 This recipe is easy, low-carb, and frankly… delicious! We hope you enjoy this little St. Patty’s recipe special, even though it really can be made anytime your heart is craving corned beef or want an simple and easy recipe. Boil the carrot and potato until they easily break apart with a fork. Drain the water from the pot, add the butter, and mash the carrot and potato. Mix in salt and pepper to taste. Peel leaves from the head of cabbage and steam them for about 2 minutes until they are tender and easy to roll. 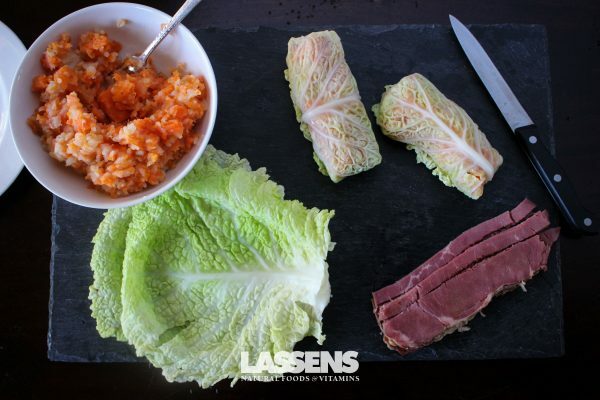 Fill each leaf with a horizontal line of corned beef and the carrot and potato mash. Fold in the right and left sides, tightly fold up the bottom flap and roll the rest up. 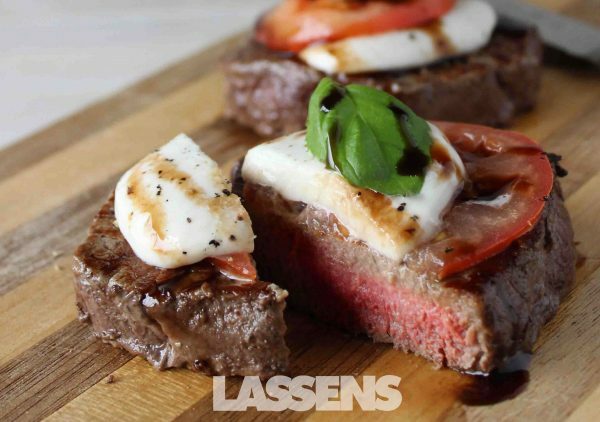 Filet Mignon is quite a fancy dish, but did you know it could be so easy to cook? 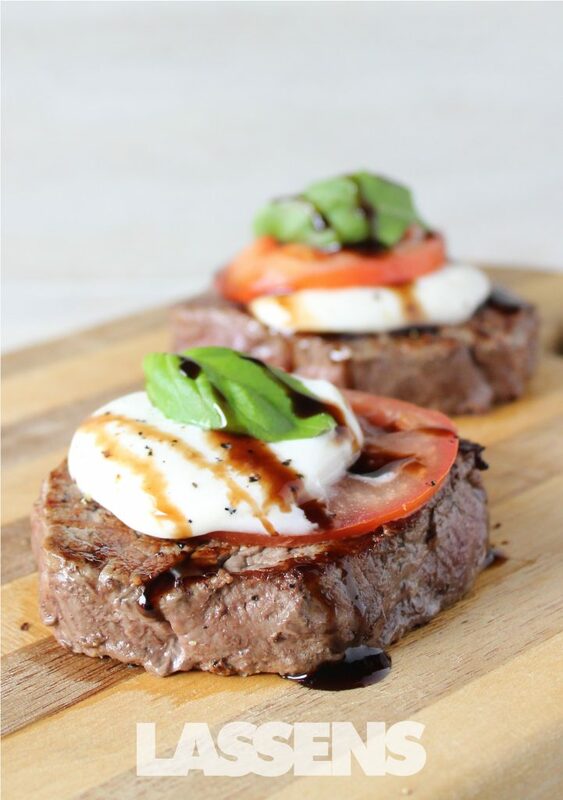 This recipe doesn’t even have to be limited to an entree, you can cut the filet in to smaller pieces and make little appetizer caprese medallions. We hope you enjoy this delicious recipe no matter the occasion! Heat grill to high. Place steaks on grill, reduce heat to medium. Cover and cook for 5 minutes. Flip and cook for an additional 5 minutes. Reduce to low, top with one tomato slice, one basil leaf, one slice mozzarella, another basil leaf, and another slice of tomato. Close the cover and grill for another 3-5 minutes or to desired doneness. Remove to a platter, let rest for at least 5 minutes, drizzle with olive oil and reduced balsamic vinegar before serving. Enjoy!